The ‘present past’ is the dominant model of education still evident in most places today. 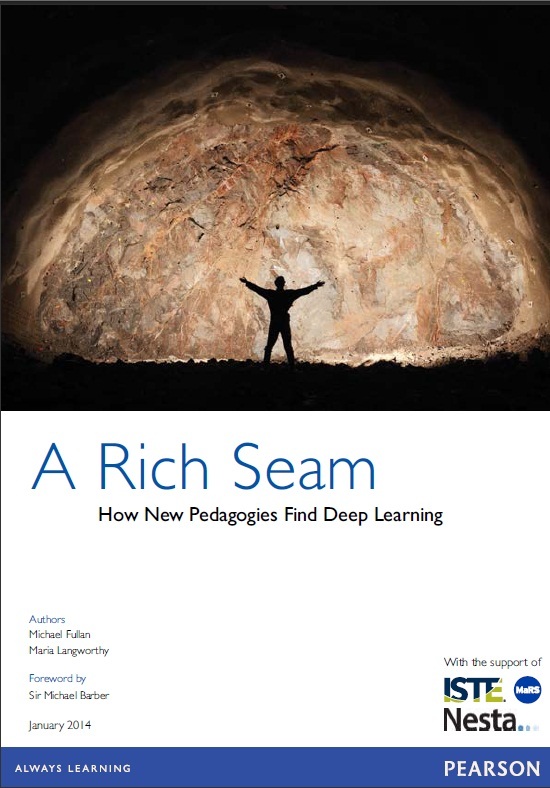 It is a model that is receding more and more rapidly as the three forces – new pedagogies, new change leadership, and new system economics – described in this report converge in an educational context that is overdue for transformation. 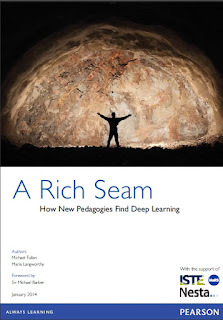 A Rich Seam is about a radical change in the relationships between all the key players in learning: students, teachers, technologies, school cultures, curricula and assessments. The report is also about how and why change is occurring more organically than ever before. When conditions are so delicately balanced, the discovery of rich seams can quickly uncover massive latent resources. Our societies are spending more time, money and resources than ever before on education.1 More than at any time in history, an individual’s educational attainment is vital to her or his future success in life. Yet our mainstream education institutions are increasingly portrayed as obsolete, designed for the purposes of an earlier, mass-production, industrial era.2 Study after study and TEDtalk after TEDtalk3 highlights how the high-pressure focus on surface content knowledge measured through traditional exams pushes students and teachers out of school.